Great Week at Ignite Australia! 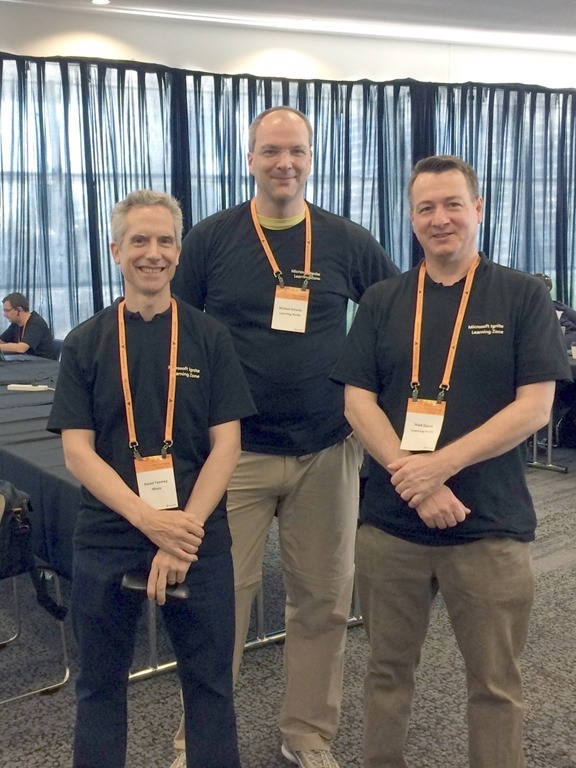 Last week I had the opportunity to attend Microsoft Ignite on the Gold Coast, Australia. Even better – I had a free ticket on account of agreeing to serve as a Technical Learning Guide (TLG) in the hands-on labs. This opportunity is only open to Microsoft Certified Trainers (MCTs) and competition was evidently keen this year – so I am glad to have been chosen. Catching up with fellow MCTs like Mark Daunt and meeting up with new ones such as Michael Schmitz was a real pleasure. Of course the down side was that I missed quite a few breakout sessions during the times I was rostered. Nevertheless, I still got to see some of the most important sessions to me, particularly those that centred around Azure and integration technologies. Please have a read of my summary of these on my employer’s blog. 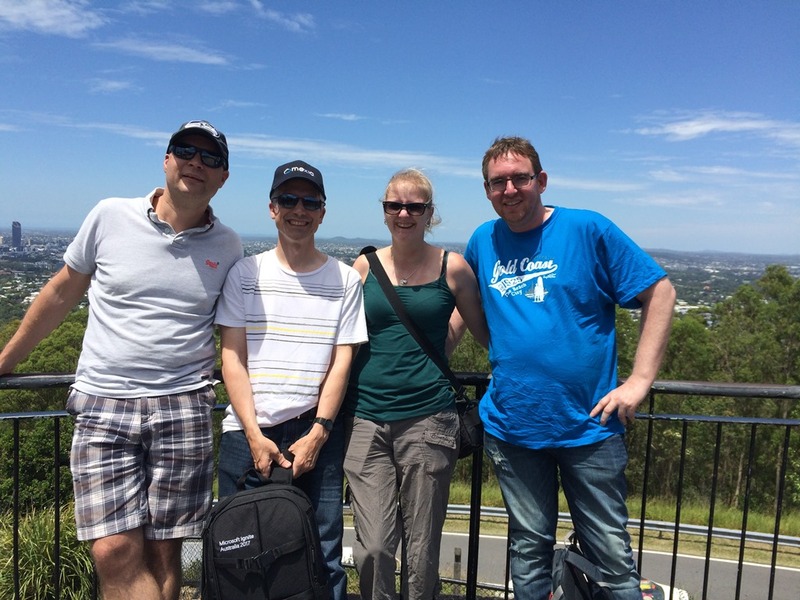 I had the rare opportunity to catch up with some fellow MVPs from Perth and Europe. 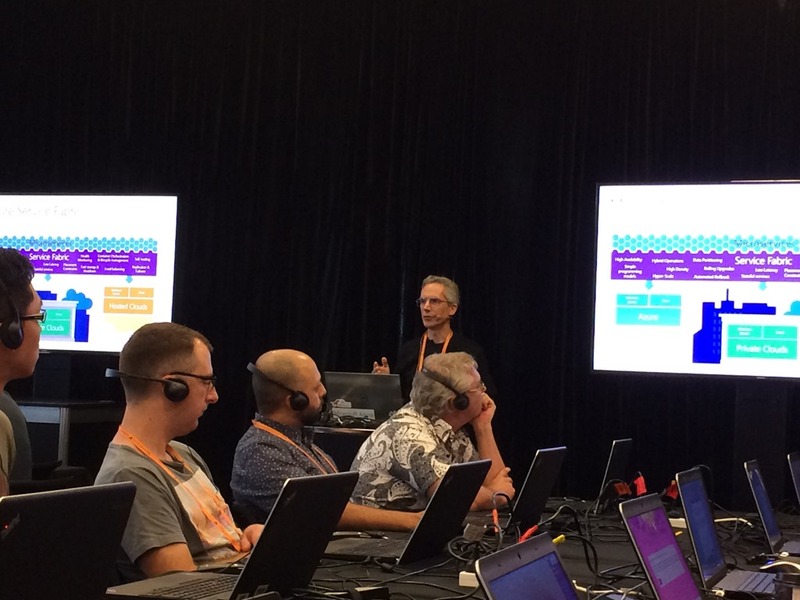 It was truly phenomenal to see enterprise integration properly represented at an Australian conference, as it is typically overlooked at these events. In addition to at least four breakout sessions on hybrid integration, Scott Guthrie actually performed a live demo of Logic Apps in his keynote! This was a good shout-out to the product team that has worked so hard to bring this technology up to the usability level it now enjoys. I’m glad that Jim Harrer, Jeff Holland, Jon Fancey and Kevin Lam were there to see it! Despite the frustration that some attendees expressed about the lab errata and the poor performance of the environment, I was pleased that all the submitted feedback relating to the speaker was very positive! Finally, perhaps the best part of events like these is the ability to catch up with old friends and meet some new ones. 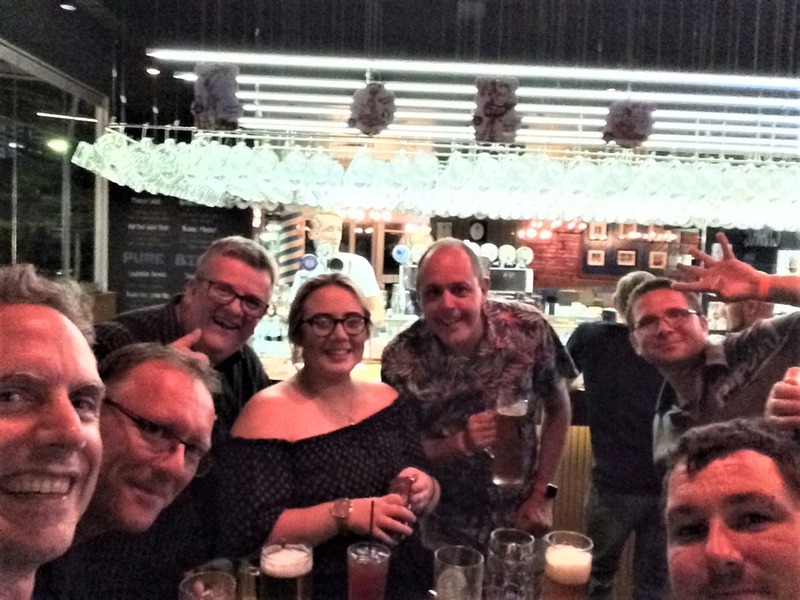 It was a pleasure to hang out with Azure MVP Martin Abbott from Perth and meet a few of his colleagues. It was also great to see Elder Grootenboer and Steef-Jan Wiggers from the Netherlands, who happened to travel to Australia this month on holidays and to speak at some events. Steef-Jan also took time to include me in a V-Log series he’s been working on with various integration MVPs, recording his 3-minute interview with me at the top of Mount Coot-tha on a sunny Brisbane Saturday! And Mexia’s CEO Dean Robertson & myself got to enjoy a nice dinner out with the Microsoft product group and the MVPs. All good things must come to an end, but it was definitely a memorable week! 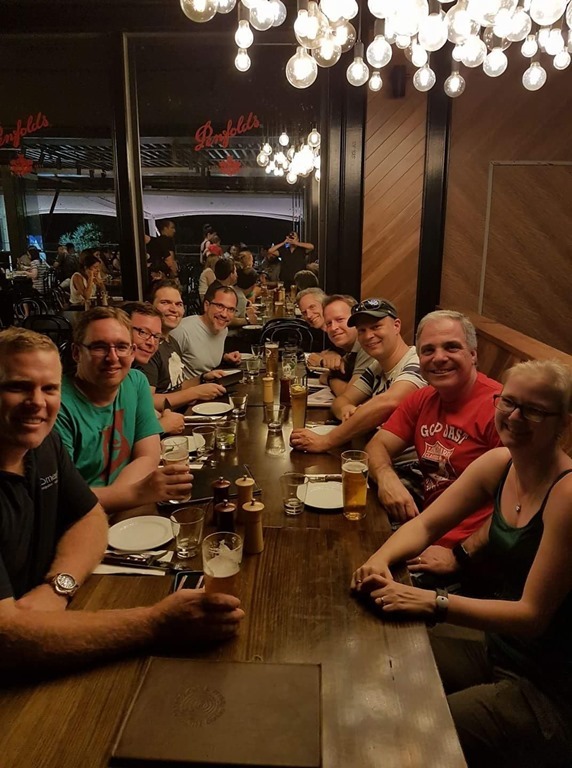 Now it’s time to start getting ready for the Brisbane edition of the Global Integration Bootcamp on Saturday, 25th March, to be followed not long after by the Global Azure Bootcamp on Saturday 22nd April! I’ve got a few demos and presentations to prepare – but now with plenty of inspiration from Ignite! Enterprise integration geek, Microsoft Azure MVP, Pluralsight author, public speaker, MCSE, MCT, MCTS & former professional musician. 2 Responses to Great Week at Ignite Australia! Hi Dan, following your talk @integrate2017, I was wondering what would be the way to go to enable an onprem rest api to be accessible from Azure? Hybrid Connections require a webservice in azure which I don’t have. I am in doubt whether or not I should opt for relaying. I think your best options would be to use either a WCF Relay (cheapest option) or API Management with a VPN (expensive and not trivial to setup, but does give you lots of other benefits and extensibility). Hybrid Connections is also possible, either by using a Web App to host (as you’ve mentioned) or connecting via a Port Bridge using the API (see this post: https://www.mexia.com.au/the-new-azure-hybrid-connections/), which would also need to be hosted somewhere (i.e. a VM). What type of resource in Azure are you wanting to connect to your REST service? If there are many different clients, I would think WCF Relay would be the best option.